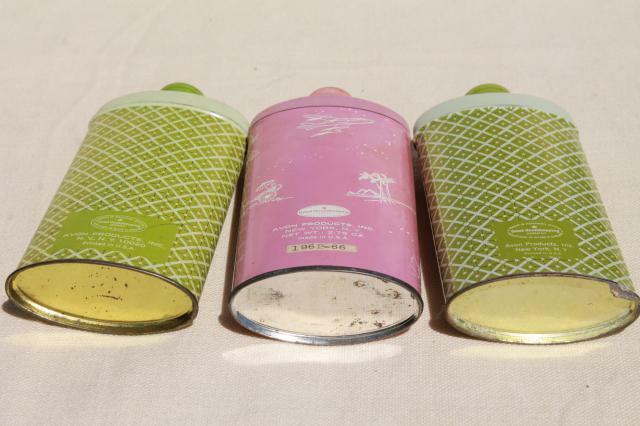 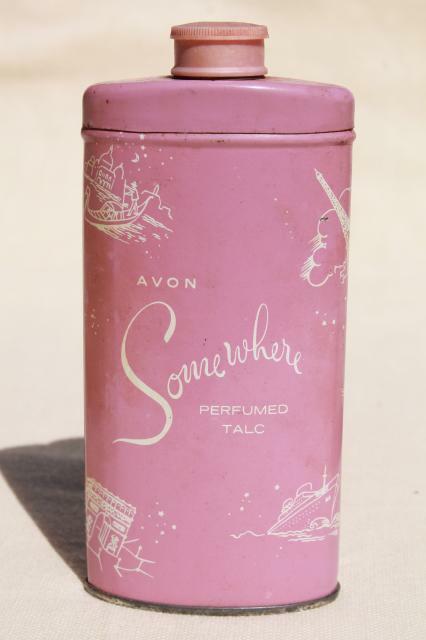 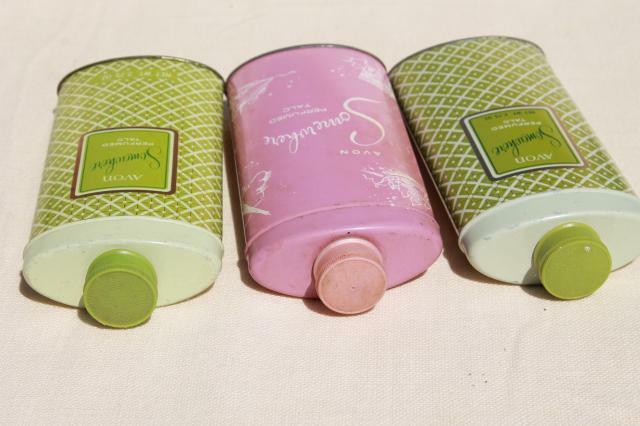 Lot of three tins from Somewhere perfumed talcum powder, with some of the powder still remaining. 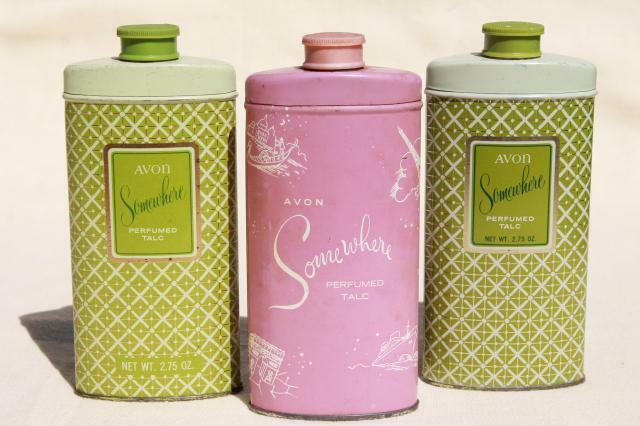 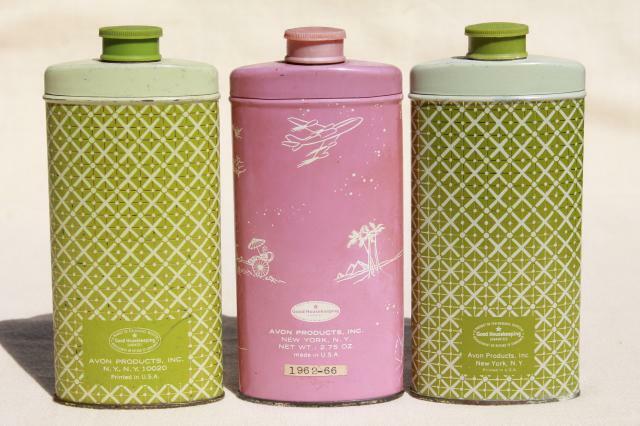 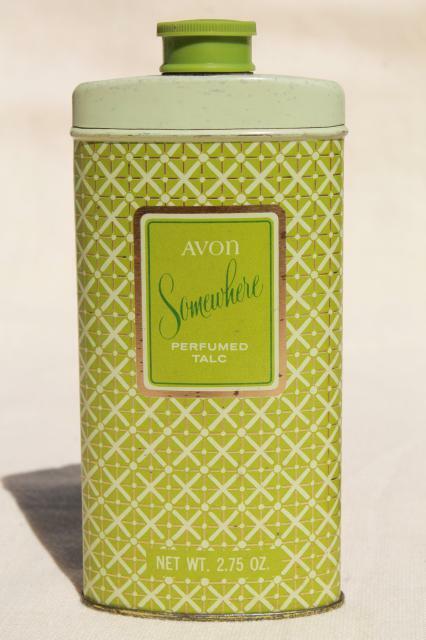 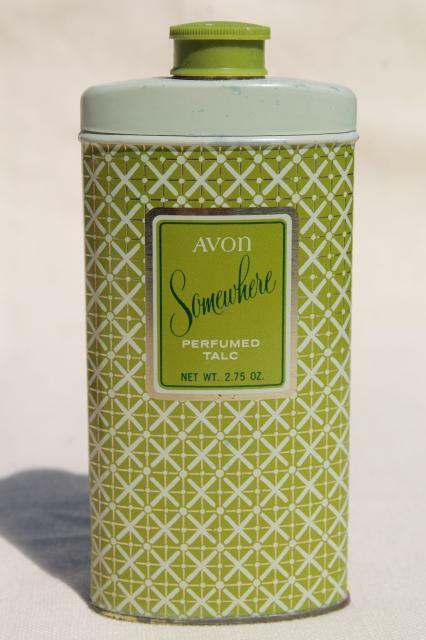 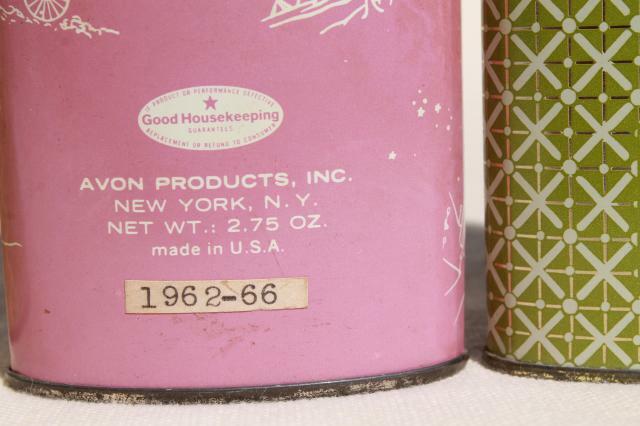 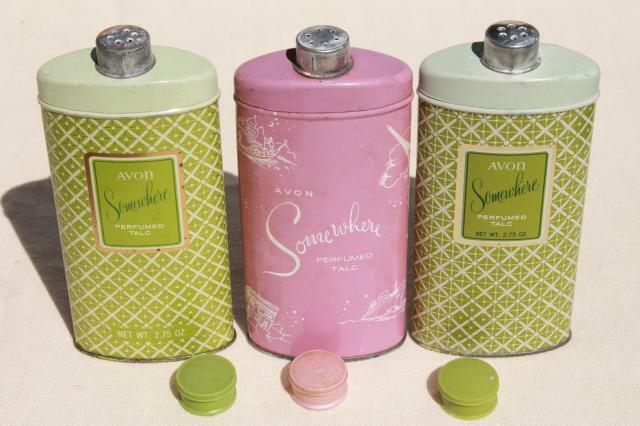 The 60s vintage print tins are so pretty and retro! 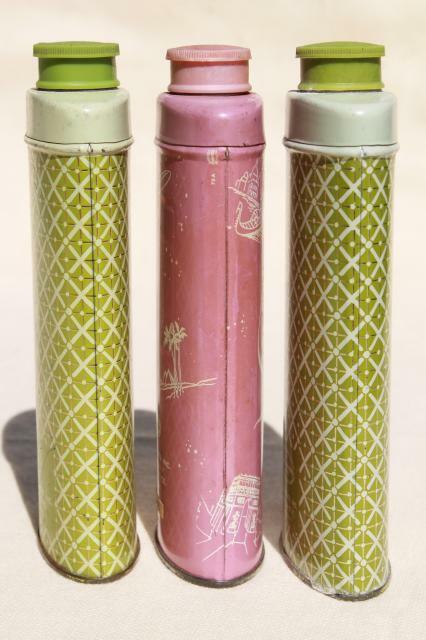 These are all about 5 1/2" tall.